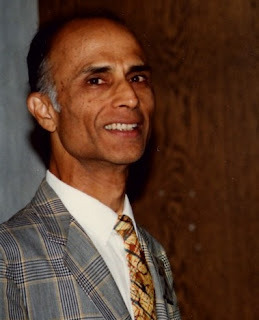 Dr. Harish Chandra was one of the outstanding mathematicians of his generation, an algebraist and analyst, and one of those responsible for Transforming Infinite dimensional group re-presentation theory from a modest topic on the periphery of mathematics and physics into a major field central to contemporary mathematics. Harish Chandra was a renowned physicist and mathematician of India. He was born on October 11, 1923 in Kanpur in North India. His father Chandra Kishor was a civil engineer. Harish Chandra spent his childhood at his maternal grandfather’s home in Kanpur. At an early age, he received his education from a tutor. A tutor was hired, and there were visits from a dancing master and a music master. At the age of nine, he was younger than his schoolmates were, in the seventh class. He completed Christ Church High School at fourteen, and remained in Kanpur for intermediate college, which he finished at sixteen, and then matriculated at the University of Allahabad, where he obtained the B.Sc. in 1941 and the M.Sc. in 1943 at the age of twenty. High-strung and frequently ill, Harish- Chandra was especially vulnerable at the time of examinations, all of which he seemed to take while suffering from some malady, serious or comic, from paratyphoid to measles. This did not prevent him from performing brilliantly. For the M.Sc., when the Physicist C. V. Raman, F R S, examined him he was the first in the state of Uttar Pradesh, receiving 100 % on the written test. He had learned some mathematics, as far as the calculus, and some science from his father’s textbooks but his introduction to modern science came at the University. He describe many years later how Dirac’s Principles of quantum mechanics, which he had discovered in the University library in 1940, evoked in him the desire to devote his life to theoretical physics. Two years later K.S. Krishnan, F.R.S., an excellent physicist and widely cultivated man, was appointed Professor of Physics in Allahabad. He encouraged Harish Chandra in every possible way, lending him books like Hermann Weyl’s Raum-Zeit-Materie and recommending him as a research student in physics to H.J. Bhabha, at the Indian Institute of Science in Bangalore. The good-natured, gentle Krishnan inspired in Harish-Chandra not only respect but also an affection that never abated. For the boisterous, egoistical Raman and his achievements, he had also, in spite of the difference in their temperaments, a high regard, but his own ascetic nature did not allow him to perceive the virtues accompanying the high living Bhabha’s extravagance. The south Indian environment would have been foreign to Harish Chandra, but he spent the first six months lodging with old friends from Allahabad, Mrs. H. Kale, who had been his French teacher at the University, and her husband Dr. G.T. Kale, a botanist who had moved to Bangalore to take up duties as librarian at the institute. The eager, serious student was an inviting target for the pranks of their young daughter, Lalitha, but the interruption could not have been entirely unwelcome, for many years later when he returned to India on a visit, she, now strikingly beautiful young women, became his wife. He married Lalitha Kale and had two daughters. Gandhiji’s Quit India movement had been broken in 1942, and from then until the end of the war the independence movement was dormant. So Harish-Chandra’s time in Bangalore was untroubled by politics. Indeed, although his parents had been supporters of Gandhiji, his father adopting the wearing of Khadi, Harish was never more than superficially touched by politics. He had strong views, which he would sometimes vehemently defend, but he was not distracted by them, and was impatient with the hypocrisy and sentimentality, perhaps simply with the welter of emotions, that politic by their very nature entail. K. S. Krishnan was Harish Chandra’s teacher at Allahabad University; he recommended his name to Paul Adrien Maurice Dirac for research work at Cambridge for his PhD degree. Based on this work and perhaps recommendations from Bhabha as well, Harish Chandra had been accepted by Dirac as a research student. Not long after the war in Europe had ended, He set sail for England, and was on boardship when atomic bomb fell on Hiroshima on August6, 1945. In 1945, Harish Chandra studies for his doctorate degree at Gonville and Caius College, Cambridge, under Paul Dirac’s supervision. However, he was not quite satisfied with Dirac’s lectures when he realized that Dirac was actually reading from his books. During his days in Cambridge, he started to loose interest in Physics, took more interest in mathematics, and attended the lecture courses of Littlewood and Hall. While attending a lecture by Pauli, he pointed out error in Pauli’s work. Later pauli and Harish Chandra became very close friends. In 1947, he received his doctorate degree for his thesis Infinite irreducible representations of the Lorentz group. In the thesis, he gave a complete classification of the irreducible unitary representations of SL. Harish Chandra’s career as a physicist was to be brief- two years in Bangalore with Bhabha and two years in Cambridge with P.A.M. Dirac, F.R.S. He himself does not appear to have attached much important to the work done then, but it is of biographical interest and does occupy considerable space in his ‘collected works’. In Bangalore, there were two themes, both reflecting concerns of Bhabha and indirectly Dirac. The first, on which he wrote some papers alone and some with bhabha was classical point particles, their equations of motion, and the fields associated with them. Its origins lie in a 1938 paper by Dirac in which he derived equations of motion for a classical charged point- particle moving in an external field by examining the combined effects of the external field and the field of the particle itself on a small tube surrounding the world line of the paticle. He lets the diameter of the tube go to zero, keeping only the finite part of the energy and momentum communicated to the tube, and obtains equations agreeing with those of the Lorentz theory. Similar ideas can be applied to other point- particles and the associated fields, and Bhabha and Haris-Chandra developed them extensively, especially for neutrons and their classical meson fields. This work found no echo in the literature. The second theme, relativistic wave equations, especially for particles of higher spin, touches issues that, although somewhat peripheral, remained of concern to mathematical physicists and are still not completely resolved. It deals with problems that in the 1940s were largely algebraic and some of the papers like those on the Dirac matrices and those on the Duffin Kemmer matrices, are purely so. The innate algebraic facility displayed in them, and in the early Princeton papers, was transformed by experience and effort into the powerful technical skill of the papers on representation theory. As it gained in strength, it lost in ease but never in resourcefulness. In Cambridge, his personal contacts with Dirac were infrequent. He attended his lectures at first but dropped out when he discovered that they were almost the same as the book. However, he did attend the weekly colloquium run by Dirac. He found that he was very gentle and kind and yet rather aloof and distant’ and felt that I should not bother him too much and went to see him about once each term. 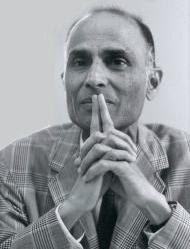 Harish Chandra accompanied Dirac to Princeton from 1947 to 1948 and worked as this assistant. During his stay at United states, the leading mathematicians Hermann wey1, Emil Artin and Claude Chevalley who were working there had great impact on him. He remained at Princeton for another year even after Paul Adrien Maurice Dirac came back to Cambridge. At Harvard from 1949-50, he was influenced by Oscar Zariski. 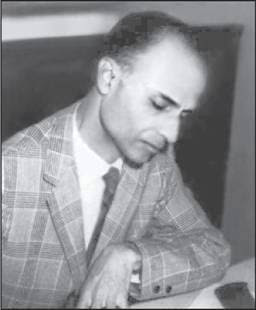 Harish Chandra was a faculty at the Columbia university from 1950-63, this duration is considered to be the most dynamic period of his career where he worked on representations of semisimple Lie groups. During this period, he worked in many institutions. From 1955-56 he was at the Institute for Advanced Study at Princeton, from 1957-58 as a Guggenheim Fellow in Paris. Harish Chandra formulated a fundamental theory of representations of Lie groups and Lie algebras. He even extended the concept of a characteristic representation of finite -dimensional of semi simple Lie groups to infinite-dimensional representations of a case and formulated a Weyl’s character formula analogue. Some of his other contributions are the specific determination of the Plancherel measure for semisimple groups, the evaluation of the representations of dicrete series, based on the results of Eisenstein series and in the concept of auto orphic forms, his “philosophy of cusp forms” , including the real lie groups, but also working at the Institute of Advanced Study at Neumann Professor in 1968. Harish Chandra received many eminent awards as AMS Cole Prize in Algebra (1954), Speaker at International Congress (1954), AMS Colloquium Lecturer (1969), Fellow of the Royal Society (1973), Ramanujan Medal from Indian National Science Academy. (1974) Honorary degrees by Delhi University 1973 and Yale University (1981), and Fellow of the National Academy of Sciences (United State) 1981. He was participating in a conference in Princeton when he died on Sunday October 16, 1983 due to heart attack. Atula đại nhân thượng tọa đi. chủ vị phải do đại nhân ngài ngồi là hợp lý nhất. Atula một lần nữa khẩn khoản mới Đoạn Vân ngồi vào chủ vị. Sinh Mạng Nữ Thần đại nhân mà ngươi vẫn sùng tín sao? - Atula lão ca, hắn là ai thế?